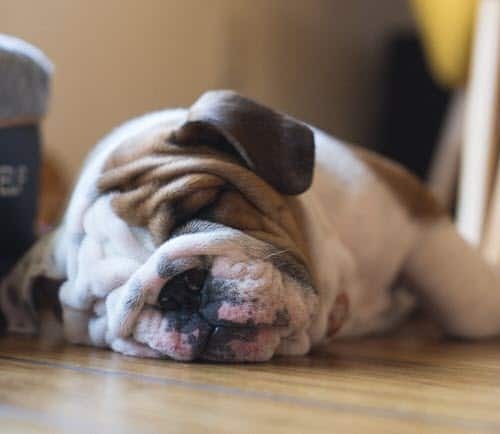 The Real Meaning of "Dog Days of Summer"
The dog days of summer are known for being among the hottest of the season. Such days conjure up listless floating in the pool, scrambling to find shade and, of course, dogs panting even though they haven’t been running around. It’s too hot for running, after all. Despite the phrase’s association with heat-struck canines, it has nothing to do with them. Well, it has nothing to do with earthbound dogs anyway. Both the ancient Greeks and Romans noticed that the star Sirius — the dog star, Canis major in the Orion constellation — began to rise with the sun not long after the summer solstice. While this is often the hottest time of the summer, and publications like the Farmer’s Almanac placed the dog days as occurring between July 3 and Aug. 11 each year, Long points out that Sirius doesn’t rise and set with the sun until mid-August now. The discrepancy between dates is to be expected, however, as is the assumption of summer heat coinciding with Sirius’ sun-related rising. During the period after the summer solstice, the tilt of the Earth exposes the Northern Hemisphere more directly to the sun’s rays. This means the longer and hotter days that come after the summer solstice; there’s no connection to Sirius and its radiation. As for the difference in dates, the movement of celestial bodies are at play again. Basically, our dog days aren’t the ancient Greeks’ dog days, and, as National Geographic points out, in a few thousand years, Sirius’ rising won’t even occur in the summer. Of course, some places have a different kind of dog day to contend with. Sirius’s rise in the sky in the Southern Hemisphere means things are about to get pretty cold due to the arrival of winter. As Long explains, the phrase “dog days” also doesn’t occur in a number of other cultures. It wasn’t until the introduction of German almanacs to Scandinavia in the 16th century that the phrase even entered the cultural traditions there, and in locations where Sirius is not called the dog star, there are no dog days of summer to be had, or at least they’re not called that. While the Greeks dubbed Sirius the dog star, other cultures had different names for it. The ancient Babylonians called it Kak-sidi or Kak-sisi, which means “arrow.” Ancient Chinese and Egyptians also called the star some form of arrow, though the Egyptians would later refer to it as the soul of Isis, the sister and wife of Osiris. The arrival of Sirius became associated with the annual flooding of the Nile River, countering the Greek and Roman belief that the rising of Sirius marks a period of hydrophobia. The star has positive associations with water in other cultures, too. In ancient Persian culture, Sirius is called Tishtrya, named for the deity that battled a drought demon and brought about plentiful rainfall. Lubhdaka, the Hindu identification of Sirius, means either “hunter” or “dog,” according to Long, but it is also called Ardra-Lubhd, or “the water-producing dog.” Here, the name refers to Sarama, the dog that helped the deity Indra retrieve stolen water. So, while our dog days are associated with unbearable heat that dogs us to fall, the appearance of Sirius holds many different meanings, depending on where on Earth you’re observing it. If your pet is suffering – it may not be the heat. Give us a call and we will be happy to give your pet friend our attention. Call us to make an appointment at 970-587-5140. Related articles you might find interesting – Dogs and Cats Are Amazing and Is Your Dog Not Eating?